Son (with one sister) of Maj. John Ambrose "Jack" Sadd (1885-1978), and Doris Mooney (1890-1984), of Salisbury, Wiltshire (formerly of the Experimental Station, Porton, Salisbury). Education: Chafyn Grove School, Salisbury, Wiltshire; Sherborne School (09.1931-12.1935; School House; House Prefect; PT Instructor). Articled clerk to a solicitor. Gained civil aviator's certificate (No. 19278) taken on a Piper Cub Coupe, Continental, 50, at Wiltshire School of Flying, 27.07.1939. Owner of 1925 Bugatti Type 30 Tourer 4637 auto car. Son of Charles Herbert Sankey (1864-1949), and Constance Beatrice Massey (1865-), of Dulwich, London. Married 1st ((09? ).1931, St George Hanover Square district, London; divorced 1936) Vera Ramsay (1910? - ); one daughter. Education: Tonbridge School (1920-1924; Parkside). In commerce (director). Obtained civil aviator's licence (No. 13662) taken on a Moth Gipsy l. 85 at Hertfordshire and Essex Aero Club on 14.03.1936. Literature: William Cooke, Wings over Meir : the story of the Potteries Aerodrome (2010). Son of George Edward Savill, and ... Mitchell. Married 1st (02.02.1942, Coddington Church, Newark, Nottinghamshire; marriage dissolved) Phyllis Annie Savill. Younger son of F.G. Sawyer, and ... Fitzwilliams, of Highfield, Southampton. Son of George Sawyer, and Alice Calver, of Aldershot. Married ((06? ).1940, Aldershot district, Hampshire) Kathleen Wallis, of Farnham, Surrey. 1913 ? Son (with one sister and one brother) of Claud Nicholson Sayce (1884-1948), of Australia, and Constance Elsie Campbell (1890-1983). Brother of 3/O Hazel Constance Sayce, WRNS, and F/O Joseph Ernest Sayce, RAF. Married (1940) Hattie Pritchard (died 1995); two daughters. * Flight Lieutenant Healy, Pilot Officer Schofield and Sergeant Kingett, as captain, navigator and wireless operator/air gunner respectively, have consistently displayed great skill, courage and devotion to duty in the execution of their duties. They were selected as members of the crew of a Catalina flying, boat which was recently detailed for certain special operations. Four flights have been completed involving a total distance of 9,500 miles, much of which was flown in the most severe weather and icing conditions. Nevertheless this crew, displaying superb skill and undaunted determination, accomplished their task successfully. They displayed magnificent fortitude throughout. Education: Bemrose School, Derby; St John's College, Cambridge (read Economics). Joined Civil Service (Inland Revenue). Returned to Inland Revenue Service, 1945-1976. Son of Harold Scott (?-1916). Son of ... Sellis, and ... Jenne, of Datchet. Son (with one brother) of Edward Daniel Sewell (1891-1924), and Elizabeth May Teagle (1894-1965). * Throughout his operational career, Warrant Officer Sewell has gained an excellent reputation four courage and skill. He has, on several occasions, been pursued by enemy fighters and his aircraft damaged by anti-aircraft fire. As a result, on several of his sorties, forced landings have been necessary in extremely dangerous circumstances. Undeterred by such occurrences, this Warrant Officer has always shown the greatest readiness to fly on operations and has set a fine example of gallantry and devotion to duty. Son (with three brothers and two sisters) of Walter Shaw, company director (Printer, Director of Castell Brothers Ltd., eventually the business ended up as Shaw’s Price Guide), and Mabel Annie Leathley (1878-), of South Woodford, Essex. Brother of Capt. Theodore Leathley Shaw, RASC, Maj. John Leathley Shaw, RA & Lucy Thornton Shaw (who married Capt. 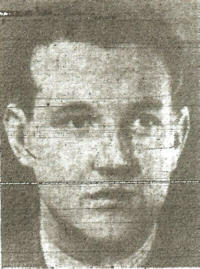 John Leathley, RAPC). Clerk, Trustee Department, Westminster Bank, 08.1934. Married ((12? ).1949, Chelsea district) ... Rossiter (née Simpson); ... children. Only son of Mr & Mrs Shillitoe, of Clifton Green, York. Married ((09? ).1942, Wandsworth district, London) Joan W. Andrews. She re-married ((03? ).1948, Croydon district, Surrey) William F. Willmott. 1921 ? Son of Myles Shortall and Catherine Phelan. Education: Mount St. Joseph’s Roscrea; National University of Ireland (1928; 1st Class Honours); MD (1933), MCh (1932), FRCS(I) (1931). Extern Department, St Vincent's Hospital, Dublin. Consultant Surgeon Daisy Hill and Newry General Hospitals from 1935 until being called up in 1939. Following the War he returned to Newry to Private and NHS practice and was involved in the introduction of the Health Service to Northern Ireland. Second son of Thomas Albert Shute, shipowner, and May Clarke. Eldest son of late Captain Hon. Laurence Kay­Shuttleworth, RFA, JP, and Selina, daughter of Gen. Hon. Francis Bridgeman. Son of Col. Frank Shuttleworth (1845-1913), and Dorothy Clotilda Lang (1879-1968), of Biggleswade. Obtained his aviators' cetificate (No. 10385) on 03.03.1932, taken on a D.H. Moth 80 h.p. Cirrus at Brooklands School of Flying. From http://www.shuttleworth.org: "When Richard was a young boy he was happiest tinkering with cars and any available mechanical device and often got into trouble at school for arriving late to lessons covered in grease. He passed out of Sandhurst as a 2nd Lieutenant in the 16th/5th Lancers, and during his time in the army, he pursued various sporting interests like his father had done. According to his father's will he finally came of age at 23 and inherited the family fortune and was then able to concentrate on the management of the estate. He was also then free to pursue his mechanical interests, which became more and more his main occupation. Richard built up a sizeable collection of old cars, and somewhat later, aeroplanes, restoring them to working order. These now form the nucleus of the Collection at Old Warden Aerodrome, which was also constructed by him. He had a very successful racing career, culminating in the winning of the first British Grand Prix at Donnington Park in 1935 driving his 2.5 litre Alfa Romeo Monoposto. He raced at Grand Prix worldwide and participated in the South African Grand Prix where his car went out of control and he was badly hurt. This led to his retirement from motor racing and he took up flying because 'it was safer'! When war broke out in 1939 Richard joined the Royal Air Force and was posted to RAF Benson for night flying experience. On the night of the 1st-2nd August 1940 he was flying a cross-country training exercise in a Fairey Battle, but was killed when his aircraft crashed into a nearby hill." Literature: Kevin Desmond, Richard Shuttleworth: an illustrated biography (1982). Son of Percival Robert Simon, and Keturah Radcliffe. Husband of Wendy Simon, of Hordle, Hampshire. Admitted as sorting clerk & telegraphist (postal), Glasgow, 16.08.1941. Son of Leonard Simpson, and Emily Lucie Mackett, of Tiverton, Devon. Son (with one brother and two sisters) of Harold Helmsing Sissons (1869-1926), and Ethel Baxter (1873-1947). Education: Pembroke College, Cambridge (BA 1926, MA 1930). Only child of Sidney Skingley (1889-1934), Sussex police force, and Winifred Cox. Married (18.11.1940, Reigate) Marjorie Eleanor Henderson (died 30.05.2005); one daughter, one son. Joined Reigate Borough Police Force, 1936 (more details under 2nd "biography" button on the left). Son of Samuel Hugh and Catherine Ann Sloan, of Clifton, Bristol; husband of Barbara Florence Sloan, of Clifton. Education: MB BS Cantab (1951); FRCP (1971). Son (with one sister) of Ernest James Smallwood (1877-1942), and Sarah Elizabeth "Lizzy" Hussey (1881-1964). Married 1st ((06? ).1944, Holywell district, Flintshire) Barbara L. Jones; one son. Son of William Smedley, and Annie Lamb. His grandchild writes: "St Eval with Coastal Command posted in 1944, after time in South Africa. Also spent time based at RAF Lossiemouth." Son of ... Smith, and ... Mallon. Son of Louis Thomas Smith, and Rose Maltby, of Barking, Essex. * Flight Lieutenant Smith has displayed great zeal, energy and administrative ability in the organization and maintenance of the Squadron Signals Section. The instruction and training received by the Wireless Operators (Air) and Wireless Operators Air Gunners under the guidance of Flight Lieutenant Smith has been of a very high standard and the efficiency of the Signals Section has been second to none. No task has been too great or any hours too long for Flight Lieutenant Smith. [Flew on Halifax NA-A on 11.11.1943 as the "wireless operator" on an operations flight again the Cannes marshalling yards. Son of William Clifton Smith and Ethel Smith, of Newby, Scarborough, Yorkshire. Son of John Dugald Smith, and Mary Helen Ogg. Son of Harry G. Smoothy, and Annie Humble. A grandson writes: "Squadron 268 and 77, I think. Many tours in Europe and may have finished in Burma. Trained in Sopwith Camels in South Africa. Think he was at Middleton St George for a while. Arthur worked for Hawker Siddeley before the war and after they migrated to Australia. He flew Halifax bombers amongst other things." He watched the 'Battle of Britain' from the tennis court at home, and when he turned eighteen he volunteered for the RAF. He learned to fly in the USA and was posted to a Spitfire squadron. Some of the story depicts the wild life enjoyed by the young fighter pilots between sorties, as each day could always have been their last one on earth. 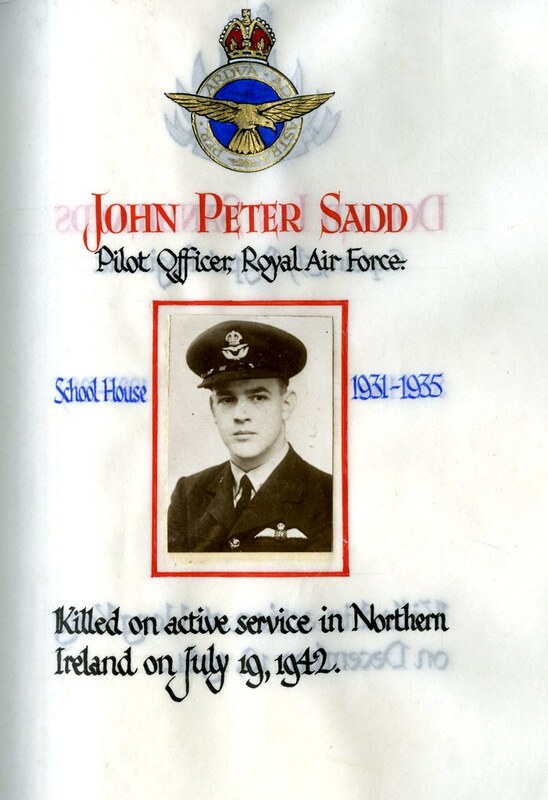 The squadron was in Malta covering the invasion of Sicily when he was shot down. He crash-landed in a tiny field and set off to get back to the beach to try and get a lift back to Malta. After two skirmishes with the enemy he was finally captured and because of mistaken identity was shot as a spy. Seeing what was about to happen he made a run for it and although hit five times lived to tell the tale. He finally escaped by jumping from a moving prison train in Italy and joined the partisans to make maps for the dropping of arms. He took them over the mountains to Switzerland. He was awarded the D.S.O. He returned to England and joined a jet fighter squadron. After the war he became an actor, doing plays, TV, music hall, cabaret and a few films. He toured Africa and America doing a one man show on piano and guitar, and has been performing at his own restaurant on a tiny island in the Caribbean for 37 years. His inspiring wife produced wonderful meals. * On 10th July, 1943, this officer's aircraft was shot down during a patrol over the beach head in Sicily, where allied landings were taking place. He was then engaged in attacking a force of Messerschmidts. The crash landing took place in territory controlled by the enemy, but Flight Lieutenant Snell was able to evade capture and, after dark, endeavoured to return to the beach head. He first encountered a number of Italians whom he bluffed into thinking him a Vichy Frenchman. On escaping from the Italians, he eventually found a road which he recognised from his map. Whilst following this road he was challenged by some Germans who ordered him to put his hands up. Without warning they rolled a grenade at him along the ground. Just in time, he jumped aside and ran back, followed by more grenades; he escaped by taking cover in the scrub. Shortly after this, he found himself in a minefield through which he picked his way for half an hour before reaching a track. Following this track, Flight Lieutenant Snell blundered on a German airfield, very near the battle area, where he was captured. The Germans decided to execute him as a spy. Flight Lieutenant Snell was marched out to a small open space and ordered to kneel down. Realising that he was to be shot in cold blood, he did not obey the order, but sprang away as the Germans fired. He was wounded in several places, his right shoulder being smashed. Despite this. Flight Lieutenant Snell evaded his captors, and hid for a time amongst boulders, before making a last attempt to reach the British lines. Owing to the extreme weakness and pain caused by his wounds, this attempt was not successful. Flight Lieutenant Snell was re-captured at dawn after he had collapsed from exhaustion. He was again threatened with execution for spying on the airfield, but finally managed to prove his identity to the satisfaction of the Germans. He was taken to a field hospital where his wounds received attention. Later, Flight Lieutenant Snell was transferred to Catania and thence to Lucca by sea. Here he was in hospital for about 2 months, until the Germans, who controlled the prisoners, decided to move them by train to Germany. Although not fully recovered from his wounds, Flight Lieutenant Snell determined to escape during the journey and made all possible preparations for this. In company with an American officer, he jumped from the train while it was passing through a junction, afterwards discovered to be Mantova. For the next week, they travelled south. During this journey, they had several narrow escapes from the Germans and were assisted by a number of Anti-Fascist Italians. With this help, the officers were able to reach Modena where they were sheltered by various friendly Italians for several months. It was eventually decided that Flight Lieutenant Snell and his companion should attempt to escape over the Alps to Switzerland. They made a long and risky train journey, accompanied by several of their Italian friends, to a small village near the frontier. There they were introduced to two guides who took them over the mountains. After a very long and steep climb, the frontier was reached and crossed. In Switzerland, Flight Lieutenant Snell was interned until October, 1944, when, the American advance reached the Swiss border. Son of Arthur William Snow. Married 1st (26.11.1932, St Martin, Birmingham, Warwickshire) Edina Mary Reeves, daughter of John Stuart Reeves. Married 2nd ((09? ).1936, Bolton district, Lancashire) Marjorie Orrell; two sons. Son of Ralph Martin Soames (1882-1954), and Mary Gooch Strahan (1884-1970), of Emsworth, Hampshire. Son of George Souter (1881-), and Grace Mcdonald. Education: LDS RCS Edin 09.07.1941. Son of Percy South, and Mary C. Hanifin. Married ((09? ).1948, Chippenham district, Wiltshire) Sheila J. Mattingley ((03? ).1927 - ); one son, one daughter. targets has proved a rare source of inspiration. ** One night in October, 1943, this officer was the pilot of an aircraft which attacked Hanover. Whilst over the target area, the bomber was hit by anti-aircraft fire. Flying Officer South was wounded in the arm and the aircraft went into a steep dive. This pilot quickly regained control, however, and, disdaining first aid for the time being went on to make a successful attack. Later on, an enemy fighter was encountered but it was driven off. Flying Officer South displayed great fortitude and outstanding devotion to duty. Son of ... Southfield, and ... Town. Married ((03? ).1954, Bournemouth district, Dorset) Myra Williams. Son (with one brother) of Robert Henry Sparks (1890-1967), and Emma Woollett (1893-1973). Married 1st (12? ).1925, Southampton district, Hampshire; divorced [she remarried 1948 A.H. Packham]) Margaret Emily D. Goff (26.11.1905 - 01.1990); one son. Married 2nd ((12? ).1946, Wandsworth district, London) Martha M.A. Eddy (1917? - 19.11.1955); one daughter, one son. Eldest son (with one sister and two brothers [poet Stephen Harold Spender and artist Capt. John Humphrey Spender, General List]) of Edward Harold Spender (1864-1926), journalist & writer, and Violet Hilda Schuster (1878-1921). Married 1st (22.02.1933, Register Office, Marylebone, London; divorced) Erika Haarmann (02.07.1909 - 10.1997), daughter of Justus Haarmann; one son. Married 2nd (03.03.1943, Hampstead, London) Nancy Culliford Sharp (29.10.1909 - 20.06.2001), divorced wife of William Menzies Coldstream (1908-1987) [with whom she had two daughters]; one son. Education: Gresham's School, Holt, Norfolk (1917-1925); Balliol College, Oxford University (1925-1928; graduated with a Double First in Engineering); Eidgenössische Technische Hochschule (polytechnic), Zürich, Switzerland (1931). Worked as a surveyor on the Great Barrier Reef from 1928 to 1929 and in East Greenland in 1932 and 1933. In 1935 he joined an expedition to the Himalayas and mapped 26 peaks over 26,000 feet. Went on an expedition to the Karakoram in 1937. Aircraft Operating Compnay 1939. Photographic surveys. From his service record: "Informed on 12.3.1941, that in view of the changes in organisation of the Central Interpretation Unit and the predominance of RAF personnel in the unit, the Air Council decided that it was no longer necessary for this officer to exercise executive authority and therefore his Class CC commission was terminated with effect 5.2.1941. As he had already served for some time as a uniformed officer, they decided to grant him an Honorary Commission (which carries with it no executive authority) in the Administrative and Special Duties Branch RAFVR eith effect 5.2.1941.Informed on 14.7.1941 that as the contract with the Aircraft Operating Company by whom he was employed has been terminated, it was no longer necessary for him to wear the RAF uniform for which purpose he was granted an Honorary commission in the RAFVR with effect 14.7.1941 and permission to wear RAF uniform is withdrawn. Relinquishment of his Honorary commission 14.7.1941." Son of ... Spurdens, and ... Paye. * This officer has completed 40 sorties and has invariably displayed great courage and determination in pressing home his attacks. One night in July, 1943, he took part in an attack on Syracuse and his excellent work contributed materially to the success achieved. On another occasion, Pilot Officer Spurdens undertook a mine-laying mission and, despite fire from the shore batteries and much searchlight activity, accomplished his task successfully. In other operations over the battle area, Pilot Officer Spurdens has achieved success. On one occasion, one engine of his aircraft was rendered unserviceable when hit by anti-aircraft fire. Nevertheless, he skilfully flew the aircraft to base many hundreds of miles distant. This officer has displayed courage, skill and tenacity of a high order. * Flight Lieutenant Spurgeon is now completing his third tour of operations and has displayed a high degree of courage, skill and devotion to duty. On one occasion in June, 1944, he executed a determined attack on a U-boat. Some days later, he attacked another of the enemy's submarines. On this occasion his aircraft was hit by anti-aircraft fire. Despite this he made several runs over the vessel before the bombs were released. His determination was typical of that which he has shown throughout his tour. Company director. Gained aviator's licence (No. 17413) taken on D.H. Tiger Moth, Gipsy Maj:130 at the Leicestershire Aoer Club, 18.03.1939. Son of Charles Wilfred Stamford, and Ella Charlotte Keene. Married ((09? ).1939, St Pancras district, Middlesex) Kathleen Desmonde Evers (1920-). Airline traffic officer. Obtained aviator's licence (No. 18240) taken on a Gipsy Moth, Gipsy 11, 120 at Airwork Flying Club, 20.05.1939. Active in the Performing and Captive Animals Defence League. Son of Charles and Nancy Stark, of Crosshill, Ayrshire. Married Mary Geraldine Stark, of Moose Jaw, Saskatchewan, Canada. * This officer is a cool and resourceful fighter who has invariably displayed great keenness and determination. He has shot down 6 enemy aircraft in combat, whilst in attacks on enemy targets on the ground he has destroyed an aircraft and a locomotive; he has also attacked a number of small vessels, such as tugs and barges with damaging effect. ** Flight Lieutenant Stark has completed a large number of sorties. He has led his flight against many difficult and dangerous targets and despite heavy enemy opposition he has always pressed home his attacks to a successful conclusion. His excellent leadership, courage and fine fighting spirit have set a splendid example to all. Son (with one sister) of William Adam Stark (1846-1927), and Euphemia Jane Isabella Palmer (1888-1921). Son of James and Agnes Thomson Stephen. Son of Thomas and Annie Lavery Stephen of Glasgow. Husband of Eliza Gillette Stephen, of Glasgow. 1920 ? Son of John Henry Stephens (1881-1943), and Lily Bessie Talbot (1884-1960). Married Amelia Maud Lillian Mary Davey; five daughters. Son (with three brothers) of William Arthur Stevens (1862-), and Lillian Emily Wykes (1867-). Education: Cambridge University (BA (Hons): Mechanical Science Tripos.). His nephew writes: "His father was latterly the Deputy Director at R.A.E. Farnborough. Don was highly motivated & excelled at everything which he did, schooling, sport & his earlier work at Rolls-Royce in Derby. He was, by reports, a very skilled pilot having graduated from the Polaris Academy. It was always a mystery to the family how he could have crashed into the ground, unless he was pushing himself & the aircraft beyond their limits or there was a mechanical failure." Son of Joseph Charles Stevens, and Emily Ann Tyler. Born as Georg Franz Hein. Literature: Marc H. Stevens, Escape, evasion and revenge : the true story of a German-Jewish RAF pilot who bombed Berlin and became a POW (2009). * Flight Lieutenant Stevens was the captain of a Hampden aircraft detailed to bomb Berlin on 7th September, 1941. After the mission had been completed the aircraft was hit by enemy antiaircraft fire and had to be crash-landed subsequently, on the outskirts of Amsterdam. Flight Lieutenant Stevens set fire to the aircraft, destroyed all documents and then, in company with the navigator, commenced to walk towards Amsterdam. They met a farmer who took them to his house and gave them food, at the same time promising to put them in touch with an organisation. Both walked across country for an hour, and then hid in a hut on a football field. They were later found by German Feldgendarmerie and taken to a Military prison, remaining there for two days. They were then sent to the Dulag Luft at Oberussel. Flight Lieutenant Stevens was moved to Lubeck on 20th September, 1941. On 6th October, 1941, he was entrained for Warburg, and during the journey he made his escape, accompanied by another officer, by crawling through a ventilator and dropping to the ground while the train was in motion. Shots were fired and the train was stopped but he and his companion managed to reach a wood where they hid until the departure of the train. Shortly afterwards they jumped on a goods train and reached Hanover on 8th October. Here Flight Lieutenant Stevens made contact with some pre-war acquaintances who provided him with food, money and civilian clothes. He, with his companion, then entrained for Frankfurt. Here they were challenged by Railway Police and arrested being subsequently sent to Oflag VI.B. at Warburg. On 1st December, 1941, Flight Lieutenant Stevens made a further attempt to escape by disguising himself as a German Unter-Offizier. He led a party of 10 officers disguised as orderlies, and two officers disguised as guards with dummy rifles, and all marched through the gates of the camp. They had to return however as the sentry was not satisfied that the gate pass was correct. Flight Lieutenant Stevens marched his party back to the compound and the sentry was then quite unaware that the party was not genuine. A similar plan of escape was therefore adopted a week later, but on this occasion the sentry was immediately suspicious and demanded of the party their paybooks. The party then had to disperse hurriedly but two of its members were arrested. In September, 1942, Flight Lieutenant Stevens was moved to Oflag XXIB at Schubin. Here he made a fourth attempt to escape and managed to get away by means of a tunnel, carrying forged identity papers, wearing a civilian suit and carrying a converted great-coat. He took a train to Berlin, arriving there on the evening of 5th March, 1943. He bought a railway ticket to Cologne and, when on the journey to that town, he was asked for his identity card by a Gestapo official. The latter discovered that it was forged, and Flight Lieutenant Stevens was then arrested and returned to the Oflag XXIB, receiving as a punishment 14 days in the cells. Flight Lieutenant Stevens made a further attempt on 21st April, 1943, but it was unsuccessful and he served a sentence of 7 days in the cells. He was ultimately liberated by the Russian forces whilst at Stalag IIIA on the 21st April, 1945. Married aged 24 (04.04.1936, Hendon) Violet Ellen Mayhew; one son. Son of ... Stevens, and ... Rew. Married (04.12.1943, Norwich, Norfolk) Maud E. "Maureen" Miller (1919? - 03.12.2017); one son. * This officer has displayed great skill and determination throughout his tour of operations. One night in October, 1943, he piloted an aircraft detailed to attack Leipzig. On the outward flight violent electrical storms were encountered. Although the air speed indicator became useless and other equipment was rendered temporarily unserviceable, Pilot Officer Stevens went on to complete his mission. His persistence in the face of trying circumstances was most praiseworthy. President of the Lakenham branch of the British Legion for 25 years. Son of Marcus Shillabeer Stevenson (1872-), and Caroline Mary Pursley (1876-). (A) Sq.Ldr. ? 06.1943 ? * in full: Jacobus Hubertus Aldegondus Lienard Stigner. Son of Jean Michel Stigner (1887-1961) (originally of Swalmen, Limburg, the Netherlands), and Maria Josephina Francisca Paulina Lienard (1879-1962) (of Belgium). Married 1st ((12? ).1943, Folkestone district, Kent; marriage dissolved) 3rd Officer Betty Angell Money, WRNS (08.03.1920-01.1992), widow of F/Lt. Desmond Victor Varian, RAFVR, and only daughter of Cdr. Norman Angel Kyrle Money, OBE, RN, and Gladys Gransmore, of Paignton; two sons. She remarried ((12? ).1959) Maj. Melville Hope McLaren Dynes. Gained aviator's certificate (No. 163437) taken on a B.A. Swallow - Cirrus Minor 82 at the Cinque Ports Flying Club, 27.10.1938. Jeweller (retired from the firm of Stigner's in 1950). Son of Thomas D. Stirling, and Elsie Telford. Member of the Pharmaceutical Society of Great Britain (MPS). Son of James Stocks, and Gladys Haigh. Son of ... Stokes, and ... Raim. Son of Claude Reginald Stone (1895-1956), and Isobel Hunt. Son of James Walter Stonham (1903-1982), and Ethel May Butler (1901-1989). * One night in July, 1944, this officer was captain of an aircraft detailed for mining operations in the Danube. This involved very difficult flying along a predetermined course and against extremely heavy ground defences. Nevertheless, Pilot Officer Stonham determinedly pressed home his attack and successfully laid his mines in the correct position. In so doing he received severe wounds in the head from anti-aircraft fire and his navigator and wireless operator were also injured. The aircraft sustained considerable damage and much equipment was destroyed. The undercarriage and flaps were rendered inoperative and many navigational aids were lost. Despite his own injuries and almost complete lack of flying instruments, Pilot Officer Stonham successfully flew his damaged aircraft over the Jugoslav mountains and reached the enemy coast. He then set a new course for base where he effected a masterly landing. This officer has completed numerous sorties and he has invariably displayed coura'ge, determination and devotion to duty of a high order. Son of Joseph and Elizabeth Stott. Married ((12? ).1942, Liverpool South district, Lancashire) Hilda Davies, of Wavertree, Liverpool. 1918 ? Youngest son of Walter John Strange (died 1934). Married (05.11.1915) Marjorie ...; one son, one daughter. *1 For his exceptional services in organising his wing and his brilliant leadership on low bombing raids this officer was awarded the Distinguished Flying Cross not long ago. Since then, by his fine example and inspiring personal influence, he has raised his wing to still higher efficiency and morale, the enthusiasm displayed by the various squadrons for low-flying raids being most marked. On 30th October he accompanied one of these raids against an aerodrome; watching the work of his machines, he waited until they had finished and then dropped his bombs from one hundred feet altitude on hangars that were undamaged; he then attacked troops and transport in the vicinity of the aerodrome. While thus engaged he saw eight Fokkers flying above him ; at once he climbed and attacked them single-handed; having driven one down out of control he was fiercely engaged by the other seven, but he maintained the combat until rescued by a patrol of our scouts. *2 Awarded for his work in helping to develop the British Airborne Forces and Hurricats in 1940 and 1941. *3 For gallantry and ability on reconnaissance and other duties on numerous occasions, especially on the occasion when he dropped three bombs from a height of only 200 feet on the railway junction at Courtrai, whilst being assailed by heavy rifle fire. *4 To this officer must be given the main credit of the complete success attained in two recent bombing raids on important enemy aerodromes. In organising these raids his careful attention to detail and well-thought-out plans were most creditable. During the operations themselves his gallantry in attack and fine leadership inspired all those taking part. *5 Pilot Officer Strange was detailed to proceed from Hendon to Merville to act as ground control officer during the arrival and departure of various aircraft carrying food supplies. He displayed great skill and determination whilst under heavy bombing attacks and machine-gun fire at Merville, where he was responsible for the repair and successful despatch of two aircraft to England. In the last remaining aircraft, which was repaired under his supervision, he returned to Hendon, in spite of being repeatedly attacked by Messerschmitts until well out to sea. He had no guns in action and had never flown this type of aircraft previously, but his brilliant piloting enabled him to return with this much needed aircraft. *6 [Awarded 06.1945] Through his tireless energy, devotion to duty, technical and practical knowledge of aircraft and wide experience in the operational employment of aircraft and airborne troops, Wing Commander Strange rendered a major contribution to the successful accomplishment of airborne operations against the enemy during the period 14 December 1944 until the cessation of hostilities. A director of Spartan Aircraft. Louis Strange was a true pioneer of early 20th Century flight. After taking a bet, Louis gained Royal Aero Club Certificate No 575 on 5th August 1913. In January 1914 he became one of the first aviators in Britain to “loop the loop.” With the outbreak of World War One, Louis, now a Lieutenant in 5 Squadron RFC, was one of the 37 aviators who on the 4th August 1914 flew the English Channel to fight Germany. He quickly demonstrated that he was both a courageous and inventive pioneer of aerial combat. On the 22 August 1914 against all the rules Louis took a machine gun into the air with the express intention of shooting down an enemy aircraft. Six days later he became the first British pilot to drop bombs from his Henry Farman F20 bi-plane. Sadly the strains of 1,000 hours of wartime flying, more than half of them in combat conditions, combined with illness resulted in him leaving the RAF in 1922. Once he had regained his health from working on his farm, Louis became a prominent figure in civil aviation. “Colonel Strange”, as he was generally known was a familiar and popular presence at aerodromes throughout the British Isles and Europe. At the age of 49 Louis found his way back into the cockpit and to serve with distinction in the RAFVR during the Second World War. It is said that only those who served alongside him truly recognised the tremendous work that he did in the genesis of British Airborne Forces. Son of ... Stuart-Smith, and ... Cooke. Joined the RAF in 1940, and flew in Middle East and UK, finishing the war in the Pathfinders on Mosquitoes. He was recalled to the RAF in 1951, and flew Meteors. He attended the ETPS in 1954,and was a test pilot at Boscombe Down in 1955. He joined Aviation Traders Ltd in 1956 as Chief Test Pilot. He made the maiden flight of the Aviation Traders Accountant and has flown over 55 types. Son (with three brothers and two sisters) of Francis William Murray Sturges (1865-1945), and Nina Banbury (1879-1952). Son of Sidney Richard Style, and Jane Whitaker. Married (1928?) Agnes McQuistan Alexander McChlery (19.01.1906 - 1972); one daughter, one son. A grandson writes: "Was a Rhodesian. Was (we think) Hurricane pilot, flew in both wars. Was a Squadron Leader in WW2 in North Africa." Education: Southampton University (Air Squadron 10.1941). Published: Magnetism and electricity for students in technical and secondary schools (1956). Formerly of Dorking and Middleton. * Sorties 20. Flying Hours 129. "This NCO is well advanced in his first operational tour of operations and is an inspired captain of aircraft. He is an airman of exceptional ability, forceful in action, at all times considerate to his crew and by his abundant devotion to duty, a constant source of inspiration. He has taken part in many important sorties against enemy objectives during which his maintenance of aim & attack was pressed home with the utmost vigour and determination. His record to date is an example worthy of the best traditions of the service and it is recommended that this NCO's achievement and sustained operational effort is recognised by an award of the DFM."